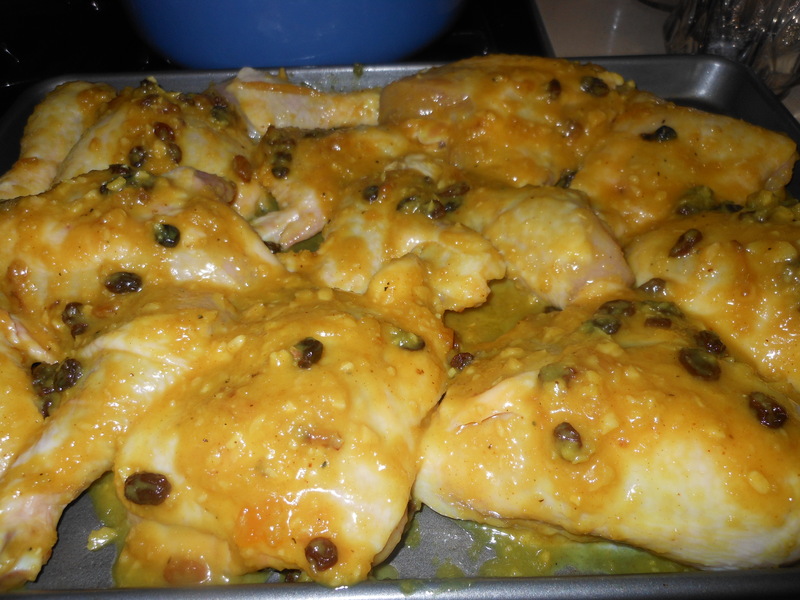 This entry was posted in chicken, Holiday, Holiday Recipes and tagged Chicken, Happy New Year Chicken, holiday chicken, Honey roasted chicken, jewish food, jewish holiday food, Rosh Hashana Chicken, Rosh Hashana Menu. Bookmark the permalink. what size chickens do you recommend? 2 roasting chickens == average siize will do. Let me know how it comes out. This is a great recipe. Thanks. I used about 10 lb’s of chicken. The chicken turned out great, but I would use about 8 lbs. next time so it would all fit snugly on a 1/2 sheet pan and I’d have a bit more sauce after roasting. I lined the pan with foil sprayed with grapeseed oil for an easier cleanup and served the chicken with rice and orzo pilaf and broccolini – delicious!